Isle Of Wight is the right location if you want to go on a Caravan Vacation. You'll never go wrong when you get bookings and quality products that Wowcher and other popular UK retailers are offering. Take advantage of the latest Isle Of Wight deals, discount codes, and offers available online. Our deal hunters have searched long and hard to give you the best cheap Isle Of Wight deals and special offers. There are countless offers to choose from, depending on what you are looking for. Have a great time with your family on your next trip. Enjoy Isle of Wight without sacrificing your budget with the help of Latest Deals! When it comes to the best holiday spot in the United Kingdom, the Isle of Wight is always mentioned. This is one of the options you should include in your list, alongside Cornwall, Devon, Dorset, Yorkshire, The Lake District and even Slough. It is the perfect getaway for the whole family. The Isle of Wight is sometimes abbreviated as loW. Although it is a county, it is also the largest second-most populous island at least in England. The Solent separates it off the coast of Hampshire. Indeed, the island comes with many resorts. This is considered a holiday destination which started in the Victorian times. One of the reasons why many people go to the Isle of Wight is because of its coastal scenery, mild climate and even the landscape of fields, chines and downland. Indeed, the island is perfect for a family break. From its weather, location, beaches and attractions, there are different activities to do in the place. Reviewing any of them would work before you decide and book. Needless to say, many would claim that the Isle of Wight is the right place to visit in England. There is no need to worry because the Isle of Wight is not remote. It is not that far from the Southampton and Portsmouth. As a matter of fact, it is simpler to go other than that of Isle of Man, Guernsey or the Scilly Isles. How can you get there then? It will only take four hours to go to the Isle of Wight if you are from Birmingham. The same is also true if you are going to Truro in Cornwall. However, it requires 3 hours to reach Lake District. If you are from Central London, you can go to the place in a car for about two hours and 40 minutes. This is far from the five hours to get to Lake District or Cornwall. For those from Manchester, reaching the Isle of Wight is almost synonymous to going to Truro. It is only for five hours and 40 minutes even with a ferry. The Lakes, on the other hand, is 2 hours. Please take note that the ferry may add on its fair if it is high season. There are still many ways to keep the cost down though. For example, you can contact an accommodation provider so that the booking is completed and done for you. This will make your life easier. Why Should You Visit the Isle of Wight? The Isle of Wight has the best beaches. The Isle of Wight is dubbed to be the best for a beach holiday. It goes with a ton of currents and climates. If you want to wake up to the best scenery, this is the perfect backdrop for you. At least, you can make the most of the sunniest day of the week there. Even if you are into a wide open sandy beach, the island is also the answer. It can be the place for beach games. There are also other activities you can do on its beaches such as bodyboarding, rock pooling, among others. The Isle of Wight comes with the right attractions. The Isle of Weight does not run out of summer attractions with a combination of adventure zoos and parks because of its size. Aside from this, there are also historic features such as lighthouses, museums, castles, stately homes and Roman villas that you can visit. This quality attraction asks for days to be visited. So make it a part of your itinerary so that you do not run out of time seeing each and every one of them when you can. The Isle of Wight offers the sumptuous food and drink. It goes with a ton of crab on chips, garlic. It is also the place for local wine. As they always say, you do not experience the culture of a country you are visiting unless you taste its food and drink, and so, this is the opportunity. There are good reviews for its local seafood and Minghella’s Ice Cream too. You have to check those. If you want to eat affordably, go to the posh nosh types of places where the sea is overlooking. The Isle of Wight comes with the brightest festivals and events. The Isle of Wight is festive. If you want to be a part on its major celebrations, the big festivals every year are the Cowes Week and the Isle of Wight Festival. Besides these though, there are still small to medium-sized events in the place like cycling and walking festivals, food-themed events and carnivals. You have to decide if you want to participate in these festivals. Usually, the food-themed cause most prices to hike up. If you want to avoid those, and then do not book around mid-June to August. The Isle of Wight features breathtaking sceneries and views. The Lake District is a must see on the island. Generally, the Isle of Wight is hilly by nature. However, it does not have a district sort of mountains. This is one of the reasons why it has high cliffs all over the west coast. Just be cautious because in there, it rains a lot. It is also a three-mile drive so you must be prepared. Aside from this, it does not have signal too. Decide if you are prepared for that. Take advantage of the affordable Isle of Wight accommodation. Get the best experience in Isle of Wight by using Isle of Wight deals available. 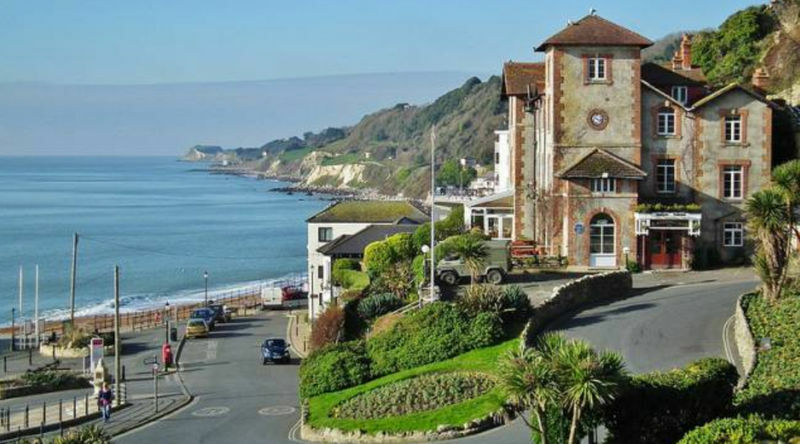 Here at Latest Deals, there are sales for bed and breakfast Isle of Wight among others. Always check on what we have to offer so that you can benefit from what we have here. 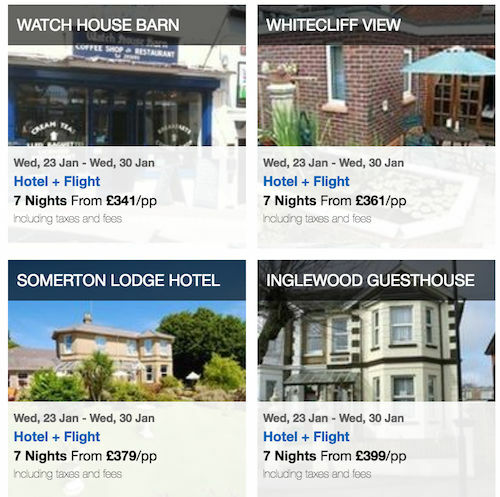 Book a budget Isle of Wight hotel and we have got you covered. Our massive community of bargain hunters is always on the lookout to find the best possible deals on Isle of Wight resorts. We have discount codes, deals and special offers just for you. We also have a team of money-saving experts who regularly share essential shopping tips and tricks that can help you get some serious money off on your online and instore purchases for Shanklin Isle of Wight. Most UK retailers have sale events, seasonal clearance, and flash sales where you can save half the price in your purchase. They also reduce their prices during Black Friday, Cyber Monday, and Boxing Day. But if you want to maximise your savings, make sure to use the latest Isle of Wight discount codes you can search here. There are also voucher codes where you can get freebies and free shipping. This is a bargain you can get for an Isle of Wight festival. Some of the retailers that have the best offers for the Isle of Wight are Expedia UK, Groupon, Amazon, Secret Escapes, and Wowcher.